With St. Patrick’s Day right around the corner, I got to thinking about all the good luck superstitions that everyone follows around the world. Surprisingly, a lot of them involve food and start with the new year, when all of us have the highest hopes. The Irish have never been known for their cuisine, but no one argues about the “luck of the Irish”. 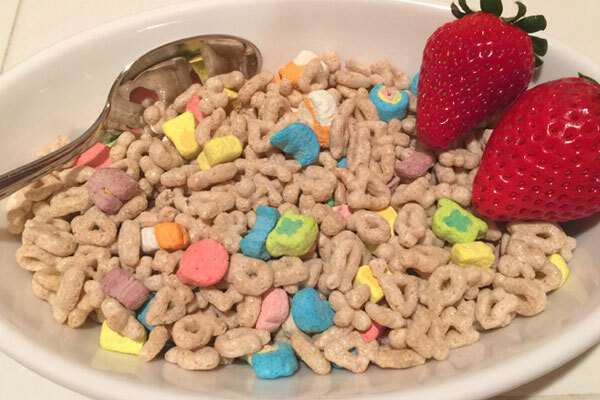 One smart cereal company came up with a classic breakfast that kids still love today, after all. St. Patrick’s Day just seems like a fun day to be green and we all hope that some of that luck rubs off on us. On the other hand, we just had the beginning of Chinese New Year too, and they have oodles of lucky foods, including their noodles. It symbolizes long life in many Asian countries, so the longer the noodles the better–you must keep them in one piece until you get it all in your mouth though, for the full effect. Certain citrus fruits are also lucky in Chinese culture, simply because the Chinese language phonetically makes them sound lucky. The word for oranges sounds similar to the word for gold, for example; and the word for tangerine sounds like the word for luck. 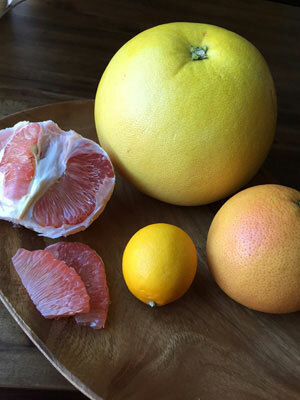 And the grand Pomelo, the largest fruit in the citrus family, is also a symbol of good luck because the Cantonese word for pomelo sounds like the words for prosperity and status. These fruits are often displayed and eaten during the Lunar New Year for their ability to draw money into the household. In Japan, during Setsubun, which falls on February3rd, a popular sushi roll called ehomaki is eaten to celebrate the arrival of spring and for good luck. 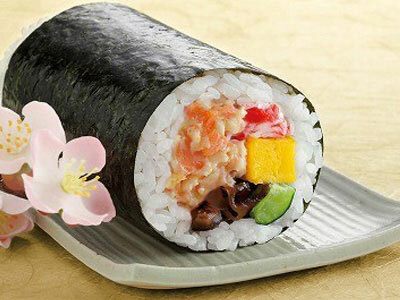 The ehomaki is a whole roll, filled with 7 ingredients representing the 7 gods of good fortune. The roll is literally eaten uncut, so as to not “cut off” the good luck. You simply chomp on the roll like a big nori wrapped burrito. In Spain, they have a ritual on New Year’s Eve where everyone will eat 12 grapes in a row, one for each stroke of the clock at midnight, to “capture” 12 happy months for the year. Some even believe that the sweetness or sour taste of each grape will foreshadow the fortunes of each corresponding month–if the fifth grape is sour, then you’d better be careful during the month of May. 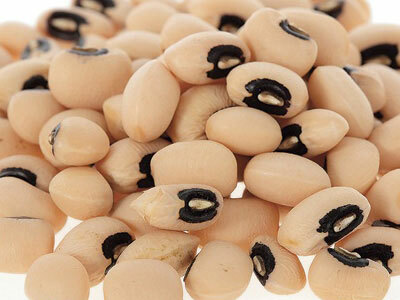 Here in the States, southerners like to eat black eyed peas, whose eyes bring a sense of looking into the future to bring good luck. There’s also collard greens (the color of money and prosperity) and cornbread (the color of gold). Here’s my favorite: in Poland, Hungary and the Netherlands they eat donuts for good luck. Circular shapes are symbols of good luck because they also resemble coins and prosperity. I say you can’t go wrong with donuts–ever! Knowledge is power. Silence is golden. With Valentine’s Day on the horizon, we have sharing on our minds. After all, aren’t all relationships about sharing? We share experiences, memories, meals, homes. Some of us share expenses, kids and responsibilities! We can’t think of one thing worth having, but not sharing. This Valentine’s Day, we wanted to steer away from the usual chocolate and flowers, and offer you something more to share. If you are not yet familiar with our Stainless Food Jars, we invite you to get to know them. With state of the art stainless steel, vacuum insulation technology and gasket seals, these puppies are built to last! 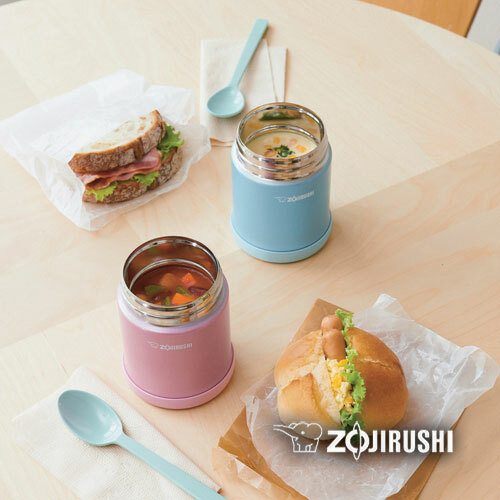 We have spent years perfecting these jars to create a product that keeps food warm and delicious with minimum spills. Now, we offer a wide variety in shapes and sizes for every occasion. So, why not give the gift of a homemade meal this V-Day? Whether you bring lunch to share with that special someone or offer a meal made with love to a friend or colleague, a hot meal is a wonderful way to show that you care. We have developed several romantic soups for this particular occasion. Check our recipes for ideas and inspiration, and make it your own! We promise, that special someone will not be disappointed! Cheers! This time of year green nanohana take on bright yellow blossoms and a fresh taste. 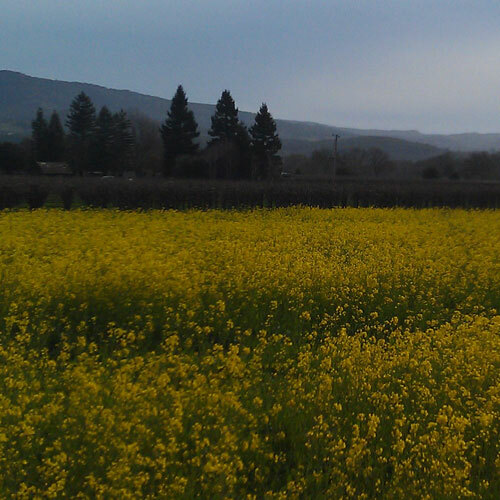 The vibrant yellow buds on this favorite veggie are a sure-sign that spring has indeed sprung. Nanohana or canola plant is actually one of the oldest vegetables cultivated in Asia. 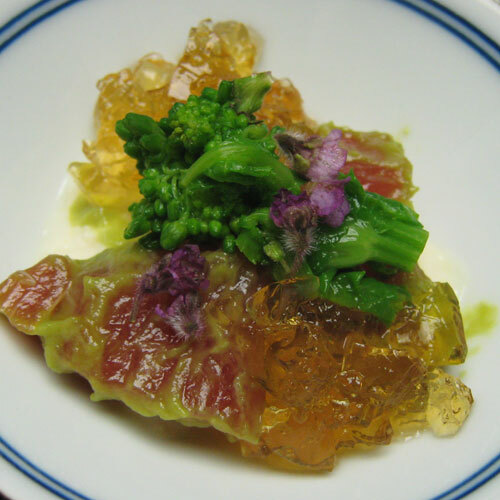 With a look and flavor similar to broccolini, you will see nanohana in many Japanese meals as a side, kaiseki course, or pickled and served in a small dish. It is well loved wherever it lands on the table! Nanohana is a multifaceted veggie that can be served in a number of ways. High in vitamin C and other nutrients, every morsel is edible from flower to stem. You might find it in the states this year under the umbrella of “broccoli”, and you will be able to identify it straight away by its yellow flowers. Keep in mind that nanohana flowers can be very small in size sometimes making them a challenge to find. If you are fortunate enough to stumble upon nanohana, you will have no problem making it taste delicious. You can boil, steam, sauté in a stir-fry or dip in tempura batter for a seasonal treat. If it is young, you can even enjoy it raw and thinly sliced in a hearty rice salad. Traditionally, nanohana is blanched, dipped in dashi and sprinkled with bonito flakes this time of year. Try it in the traditional sense if you get a chance! Nanohana with small yellow blossoms is a magical sign of early spring in Japanese culture. If you do find this vegetable in your local farmers market, it will be a sign of good luck for the months to come. Happy hunting! If you would like to give your one-pot dinners a rustic, country flavor, then treat yourself to a Donabe pot this year. Donabe are clay or earthenware pots for cooking in Japan. You can set them directly on the fire or pop them in the oven for a simple and delicious meal! This was actually one of the oldest tools used to cook rice. They were used in Japan before the invention of electricity. It is a uniquely traditional way to prepare rice. Most Donabe that are crafted with quality are incredibly durable, and should be able to survive through years of use. There are Donabe in Japan that have survived for centuries! Occasionally however they do chip or crack. Do not leave Donabe empty over the heat. Make sure it is full of tasty food or rice before cooking! 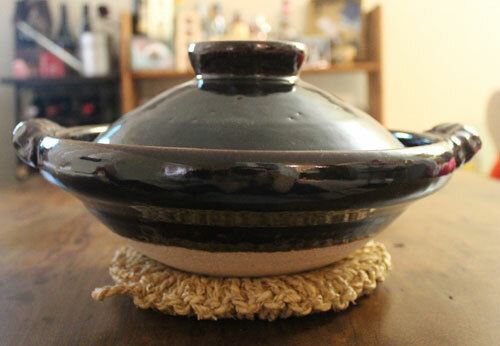 If you do make the jump and decide to purchase a Donabe, then please keep us posted with pictures and recipes! We would love to see how you make these beautiful pots your own! The Product of The Month we would like to feature in February is the SMTuff Sports SJ-SHE10. Perfect for those who are active, this vacuum insulated bottle holds up to 32 oz. 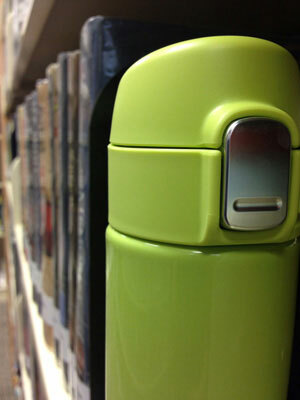 of your favorite beverage, hot or cold, for hours. 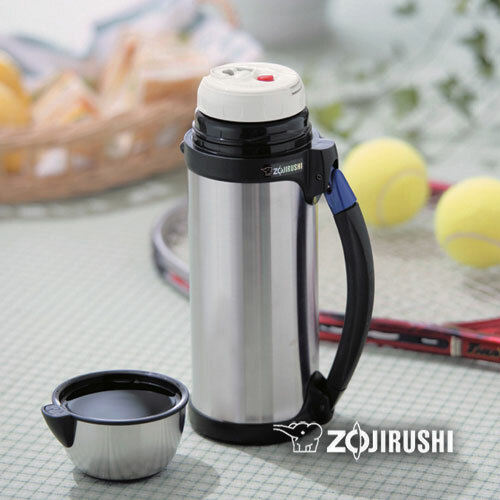 With a lid that conveniently turns into a cup, the Tuff Sports is perfect for soccer practice, tennis matches, even your kids’ Tee-ball game!